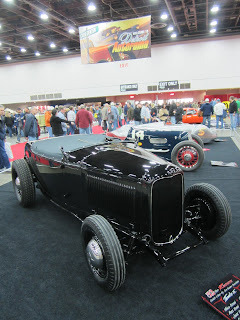 I had never been to Detroit or the Autorama so it was about time I checked them both out last weekend. 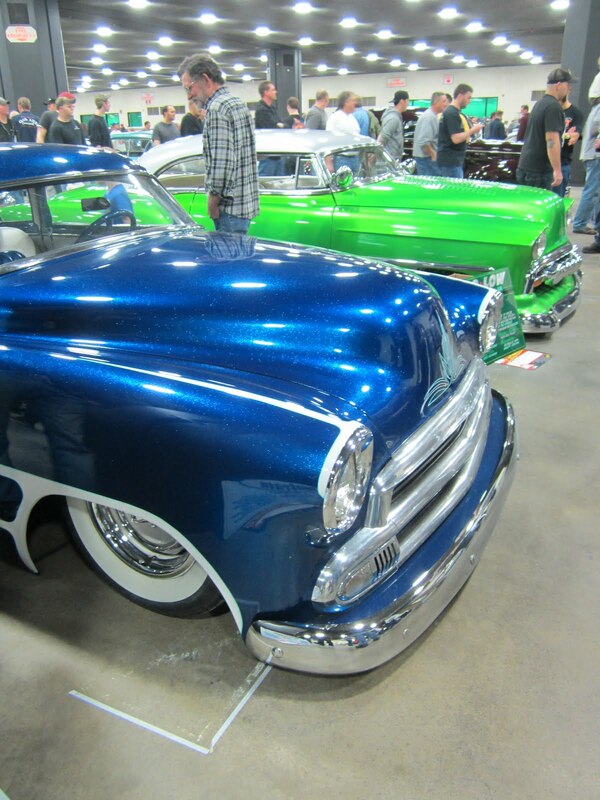 The California Car Cover crew did not have any local events on the calendar so I had an opportunity to visit with some friends and customers, while seeing one of the largest indoor classic car shows around. I couldn't to go Detroit without catching a Red Wings game. Fortunately, they were playing on Thursday night. 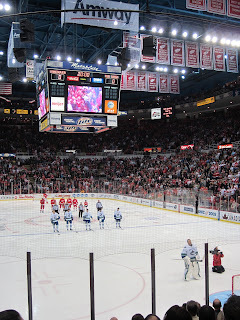 Unfortunately, I was there to see their NHL record 23 game home winning streak come to an end. You have to go find snow when you live in Southern California, so I wasn't accustoming to finding the streets and cars covered in snow from a weekend storm. My first stop on Friday morning was the GM Renaissance Center. They had quite a few of the new models on display. Detroit has a handy People Mover which is an just an elevated subway system that circles the main stops around the city. It made getting around town cheap and easy. 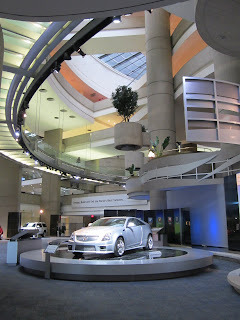 Later on Friday I drove out to Dearborn to the Ford facility and the Henry Ford Museum. Wow. I did not know what to expect and it was quite a collection of classic cars and American history. I took a lot of photos from there, and I will be sure to post them on the blog in a separate post soon. 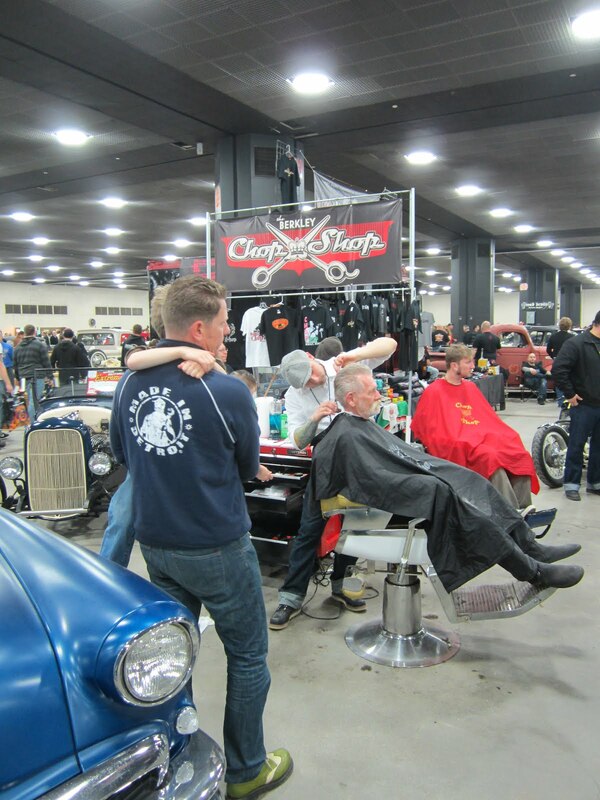 On Saturday it was off to the Cobo Center. The show was packed with people which often made it difficult to take photos. 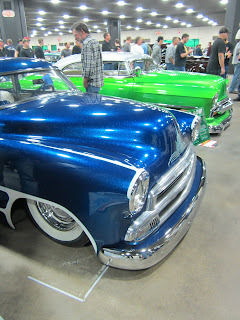 Here are a good portion of the photos from the show, but all my photos can be found on the California Car Cover Flickr page. There is a link to it at the end. 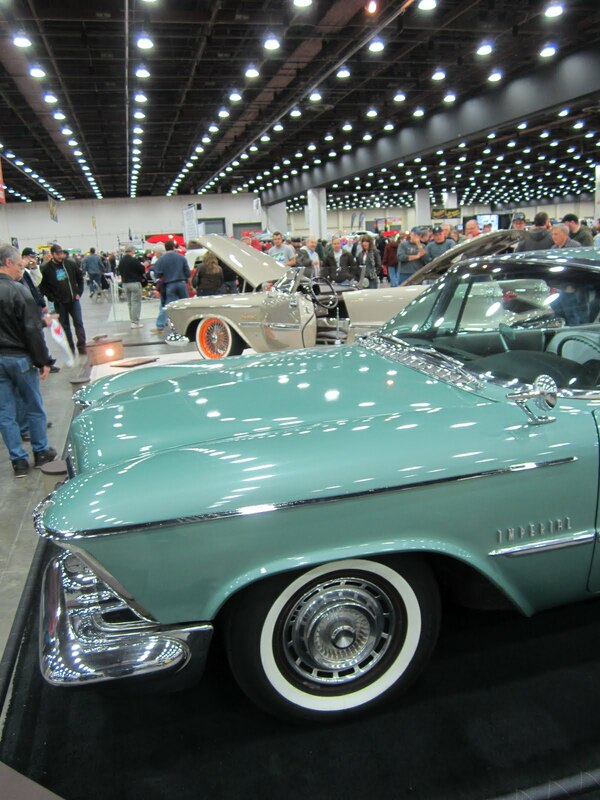 It was great to see such a variety of classic American cars under the lights of the convention center. 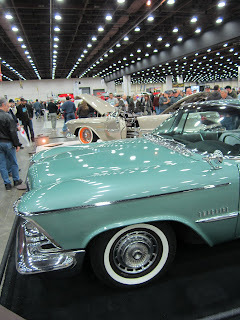 There were a lot of 1955-57 Chevy vehicles and new Camaros, but is was nice to see a lot of GM, Chrysler and Ford vehicles you do not see at every event. Factory and Custom Chrysler Imperials. Some very custom Chevy IIs. There was even a For Sale section at the show where attendees could browse or buy a custom of their own. 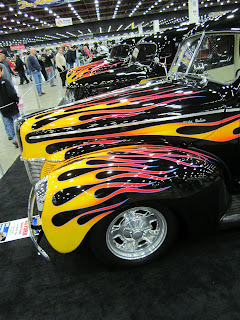 The show had plenty of nice cars and many of the cars up for awards had some impressive displays. There were a ton of mirrors, pedestals, lights and much more to show off all the details. 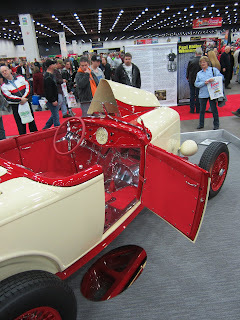 A unique experience at the Detroit Autorama was the art auction. A few times over the weekend they held a live auction for new and classic automotive art. Olds 442 under the lights. Emerald Tide. 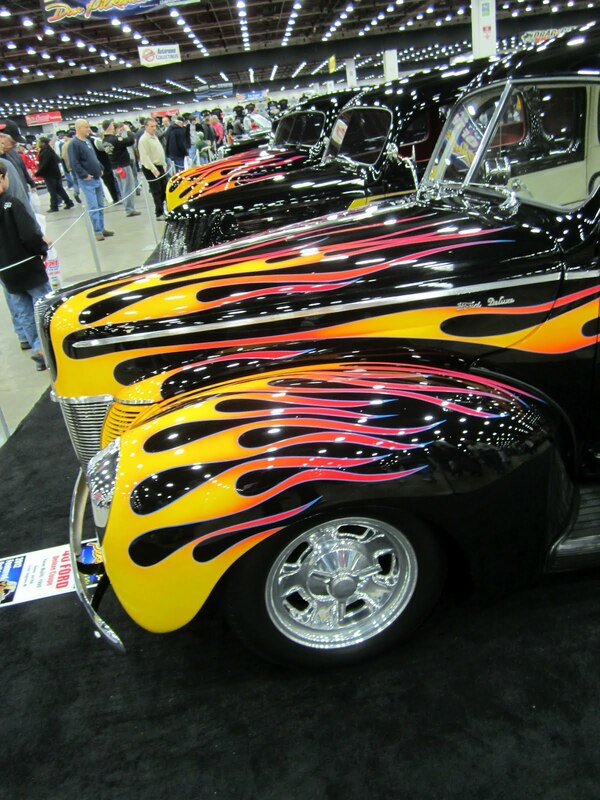 This truck was inspired by a vehicle drawn by automotive artist Keith Weesner. One of my favorite cars from the 60s, the Ford Starliner. 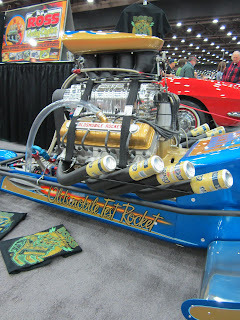 Check out the custom engine details on this fruit hauler. A big crowd filled the Cobo Center all day. Near the back of the convention hall was the Toy-O-Rama. This is where you could find all sorts of old and new toys, die cast cars, posters and much more. A few vehicles that are owned by Kid Rock were on display in the Autorama. This "cowboy" Cadillac was covered in guns and drew a crowd all day. 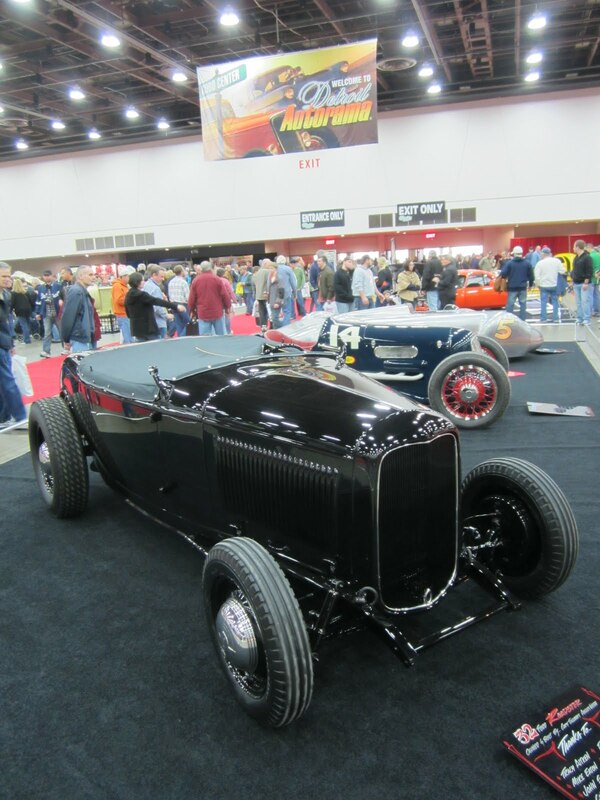 As you can see there were plenty of 1932-34 Coupes and Roadsters on display at the Autorama. From tradition to one of a kind customs, they were everywhere. 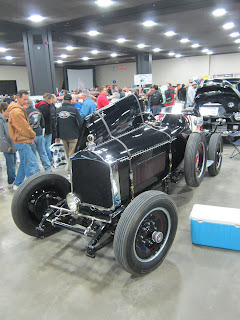 Next stop was to head downstairs to the Autorama Extreme exhibit which was home to the traditional rods, local artists, rock band and pinup contest. 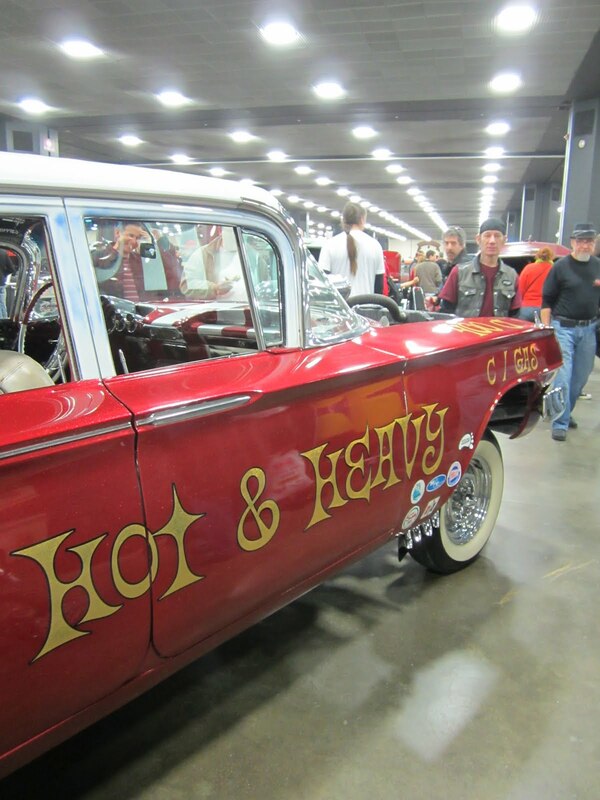 I met up with my friends from Retro-a-go-go and check out all the cars and entertainment. 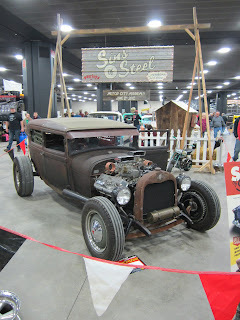 A lot of bare metal, candy paint and white wall tires were on display down here. Some of the local clubs that were on display in the Extreme section had cool and unique displays to go along with the club or event they were promoting. The Berkley Chop Shop was on hand to clean up some of the visitors. 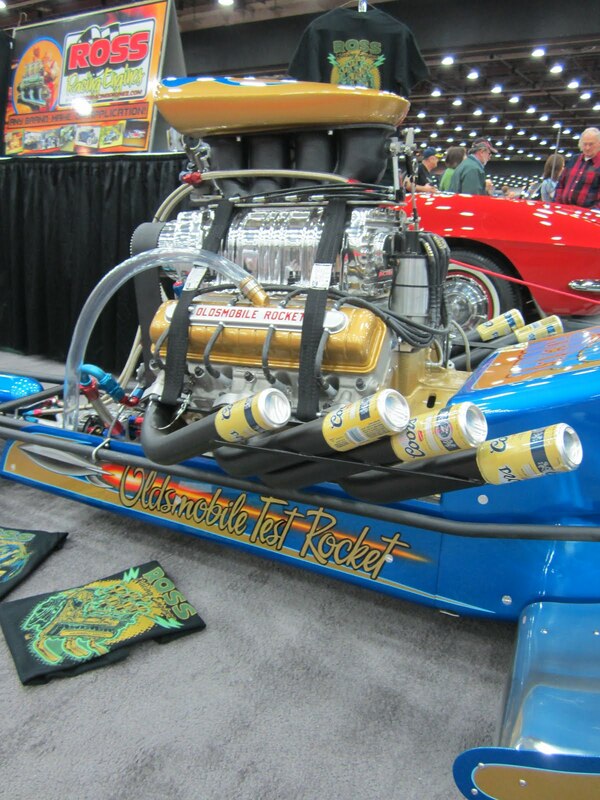 A view of the Autorama Extreme show floor. Trophies for the award winners. Some local bands played music throughout the weekend. The big event on Saturday afternoon was the pin-up contest that drew quite a crowd. 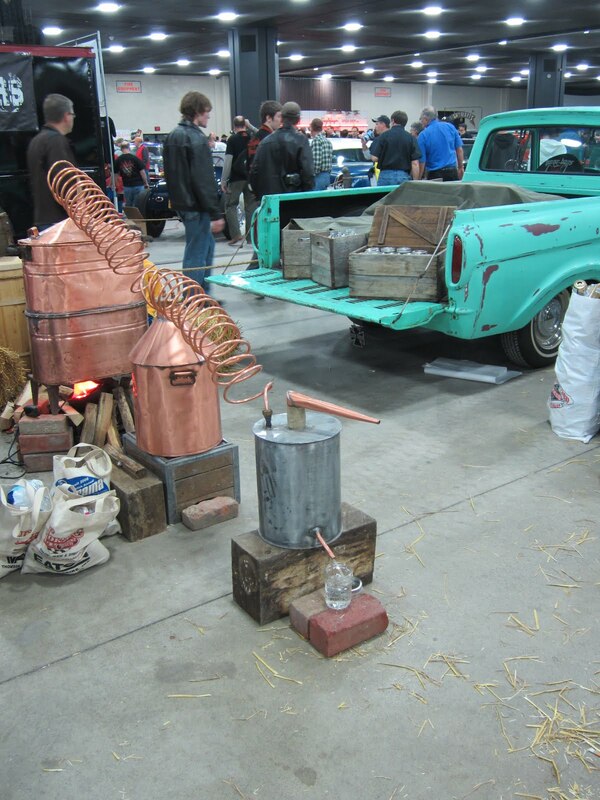 The show was a lot of fun and a great time to see some customers that I do not see that often on the West Coast. To see all the photos from that I took at the Autorama, please visit the California Car Cover Flickr page. Check back on our blog in March for photo coverage from some local car shows in California, customer shop tours and more product reviews. 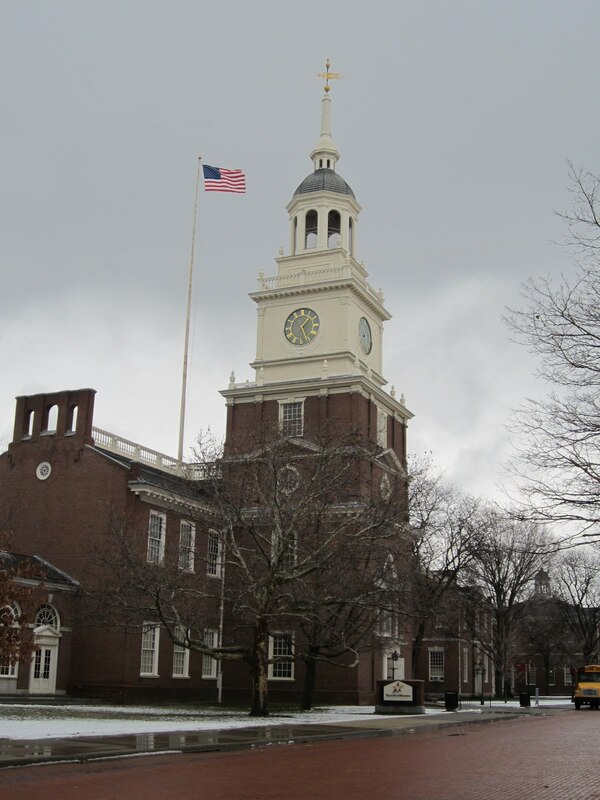 Want to know where California Car Cover will be exhibiting next? Visit our Events Page.